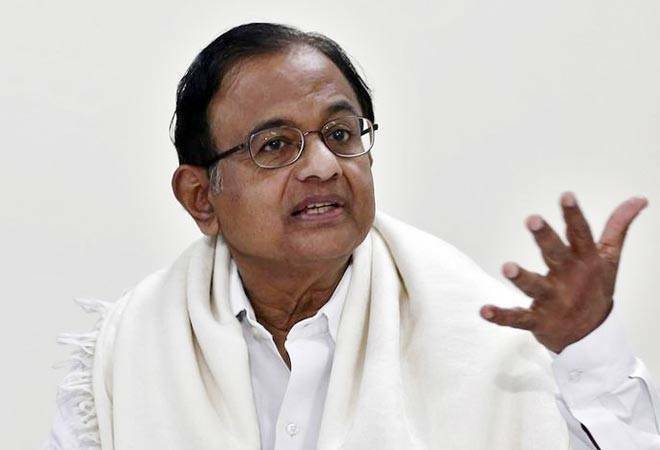 Former finance minister P Chidambaram has said contrary to Prime Minister’s claims on demonetisation, surgical strike, and GST during his recent interview, he failed to admit his government’s “mistakes” and didn’t talk about pressing issues like jobs and farm distress. Chidambaram said Modi’s interview with ANI, which was dubbed as the end-of-the-tenure report card of the Modi government, suggested the government had done everything right and that “Modi is just a manifestation of public love and blessings”. However, people have already written word “fail” on this government’s report card, claimed Chidambaram. “Demonetisation was a monumental error, the GST was deeply flawed and was made worse because of faulty implementation, the surgical strike was not unique nor did it put an end to infiltration or militancy, the triple talaq Bill is an overkill and biased, the Rafale deal short-changed both the Air Force and Hindustan Aeronautics Ltd and, thanks to wrong policies, the farm loan waiver has become an imperative,” Chidambaram said in an opinion article in the Indian Express. The Senior Congress leader said the PM failed to talk on several issues like mounting unemployment, farm suicides, women security, MSMEs closures, etc. He said the interview suggested the PM, instead of being like a car driver who looks on the road ahead, was more interested in looking at the “rear-view window” and talked about the past than future. He said the PM failed to offer anything concrete that would have lifted the spirits of the people of the country. He said “there are 10 weeks before the dawn of spring” and that the government, in its desperate attempt to change the narrative, could offer “interest-free crop loans and cash transfer to small and medium farmers” but that will only be seen with suspicion by the electorate, he claimed. Raising questions over the viability of this plan, the former FM said even if the government asks banks to provide crop loans to farmers, how will it get money to pay for cash transfers? Indicating that it will only widen the fiscal deficit, which was 115 per cent of the target at the end of November 2018, Chidambaram said it will not be easy for the government to “erase the word ‘Fail’ on the report card”. In his first extensive interview of 2019, Prime Minister Narendra Modi had talked about everything from demonetisation to GST to the Rafale deal controversy to the issue of Ram temple in Ayodhya. The PM had also set the tone for the 2019 General Elections, saying the Lok Sabha polls are going to be about ‘janta’ versus ‘gathbandhan’. On the issue of farm loans by the Congress in some states, the PM had said loan waivers were not the solution of the farmers’ issues, and that the loans offered by the Congress were nothing but “lollipop”. A BusinessToday.in report published on January 2 said the Centre will likely announce direct benefit transfer (DBT) worth Rs 4,000 per acre per season plus interest-free crop loan up to Rs 1 lakh per farmer in an instant two-fold relief to the farmers. The initiatives will cost the Centre Rs 2 lakh crore towards DBT and another Rs 28,000-30,000 crore towards interest subvention, adding up to nearly Rs 2.3 lakh crore on an annual basis. At least the Rs 70,000 fertiliser subsidy scheme will be subsumed into the scheme to make it possible. Some other smaller schemes may also get subsumed.